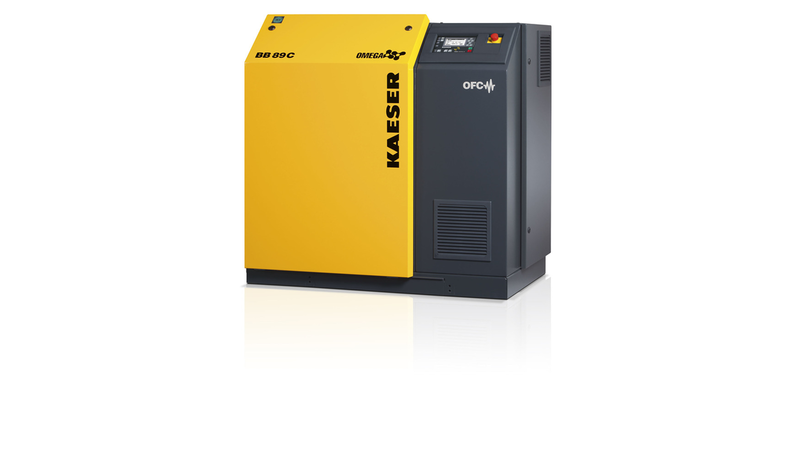 Kaeser completes its blower product portfolio with the BBC and FBC series. These compact rotary blowers are now ready to connect with integrated mains power supply equipment and the proven Sigma Control 2 controller for comprehensive system monitoring and communication. Kaeser&apos;s high-efficiency, energy-saving rotary blower range now covers air deliveries from 2 to 72 m³/min at up to 1000 mbar gauge pressure and 500 mbar vacuum. Key applications for these blowers include pneumatic conveying and water treatment. "Ready-to-connect" means that the units are supplied complete with all sensors, controls and a choice of star-delta starter or variable speed drive. The complete system packages are CE and EMC certified, which means less work for both the operator and system provider when it comes to planning, installation, certification, documentation and commissioning, because the machines and the electrics are preconfigured and ready-adjusted at the factory. But that&apos;s not all; these new rotary blowers feature even more integrated intelligence: Highly effective broadband sound and pulsation damping ensure quiet operation at all times, which applies to both the machine and the pipework. The blower block with its proven Omega profile rotors significantly enhances operational reliability and uptime, whilst adaptive compression reduces energy consumption, and long bearing life minimises maintenance costs. Moreover, space-saving component layout results in an exceptionally compact footprint. Also, as these blowers have been designed to allow all service work to be carried out from the front of the unit, it is possible with star-delta equipped models to install several blowers side by side. Components such as control valves and exhaust silencers, which would normally be installed externally, are already integrated.